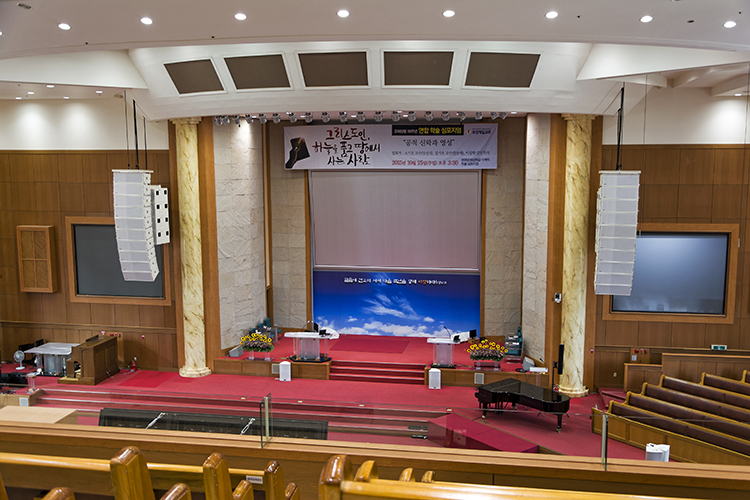 Pohang First Presbyterian Church has installed a NEXT-proaudio sound system in its 2,500 capacity main sanctuary. The size of the main sanctuary is 37-metres by 30-metres and the capacity is 2,500. Korean distributor, AVIX took on the installation with the main aim being to achieve high sound pressure levels with high sound fidelity, and good speech intelligibility throughout the venue. A total of 10 NEXT LA12 line array speakers per side were fitted, in addition to NEXT LAs218 subwoofers. Four NEXT X12 full-range speakers were used as front fills with eight NEXT X8 supplying sound to the balconies. Five NEXT MQ10000 amplifiers, five NEXT MA2300 amplifiers and four NEXT MD14000 amplifiers were also used for subwoofers with four NEXT DP260s and one NEXT DP240 DSP processor. For all upper and under balcony systems two MA2300s and one MQ10000 were used. 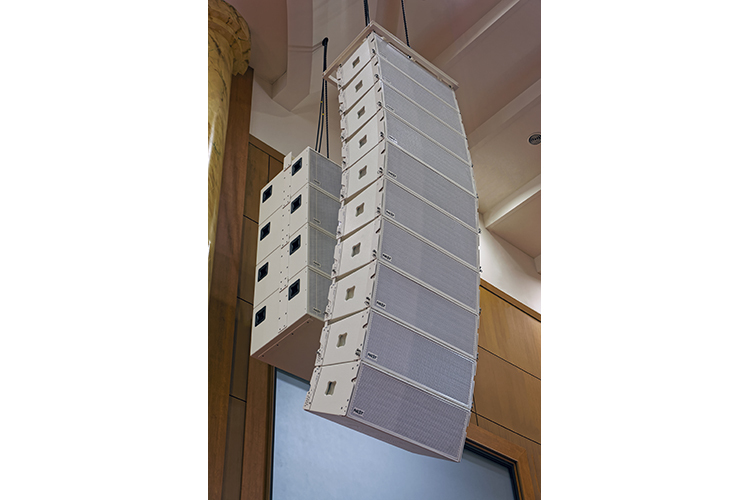 At the church’s request the system was custom painted in an ivory colour to match its design. 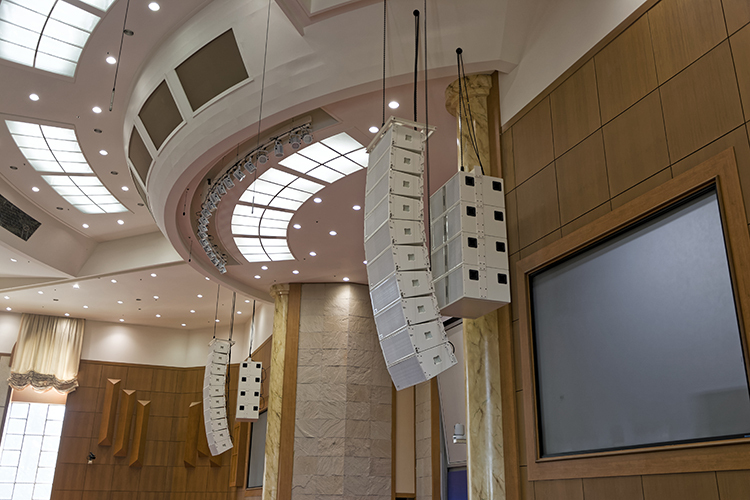 “The system serves perfectly for the worship service,” said Antonio Correia, CEO and R&D Manager for NEXT-proaudio. “It performs great at any level and is consistent even as the level is pushed, with contemporary services running in proper dBA range.